Learning food words is usually our first priority when learning a new language. But as it turns out, even the English terms for food are vastly more regional than we thought. So we knew that eggplant is “Aubergine” in the UK and cookie is “biscuit”… but that’s only just the start. This post on Stack Exchange has a long thread about translating cooking terms between the UK, the US and Australia. One of the most interesting facts we learned was that snow peas are called “mange tout” in the UK, and when you get to jelly/jam/jello everything gets really confusing. Over at Africa is a Country, our favorite African news and opinion site, historian Sarah Emily Duff has a fascinating write-up on the multinational origins of Nando’s Peri-Peri, a self-described South African peri-peri chicken joint with locations throughout Africa (including Gaborone, capital of Botswana, from where she writes this piece), Europe, and a few in the USA. M visited a location in Washington, DC last year, and raved about the food. Now, we have a much greater understanding of the surprisingly complex history of the chain, with ties to Portugal, Mozambique, South Africa, and the UK during the second half of the 20th century. We’ll take all this cultural learning with us when we return to the DC Nando’s again in October! M’s favorite: Nando’s peri-peri chicken with extra spicy sauce, rice, and cole slaw in Washington, DC. 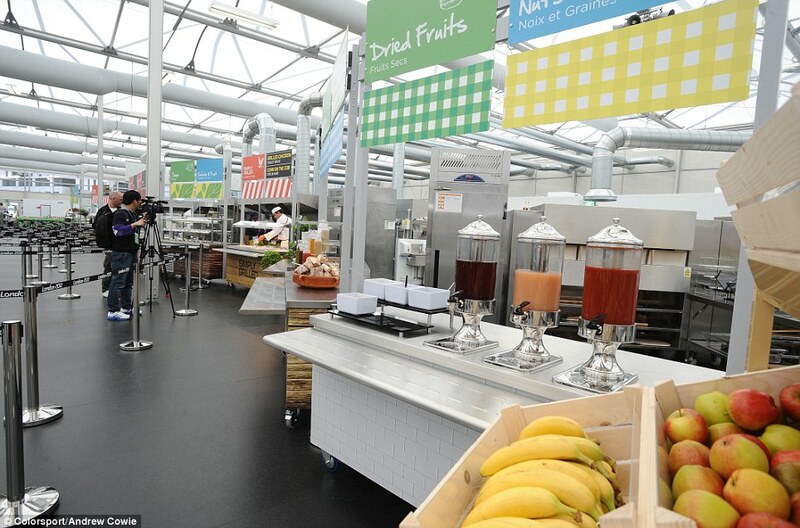 The 2012 Olympic Games begin today in London, and Britain is using the international exposure to rebrand its still paltry international culinary reputation. Of course, anyone who still believes Britain has terrible food has either not visited London in the past ten years or, if they did, managed to have their heads stuck in the Underground for too long. As Henry Chu of the LA Times noted, London is a very different place from when it last hosted the Olympics (1948), and Londoners today are used to having the world at their doorstep. But just in case you missed the memo, here’s some light reading to catch you up: The New York Daily News is asking whether or not the Olympics can put British cuisine back on the menu, noting that the Olympic Village’s main dining hall contains a number of different culinary zones highlighting the international influences that make up the British culinary menu, including “Best of Britain; Europe, the Americas and Mediterranean; Asian, and Afro-Caribbean” cuisines. Meanwhile, Gavin Cleaver at An Englishmen in BBQ Sauce (he’s a Briton writing in Dallas – get it?) has a celebration and occasional loathing of British cuisine, dishing out gold, silver, and bronze medals (try the curry!) in an Olympics of British food. Lastly, Katrina Heron at The Daily Beast outlines how, as spectacular as the Beijing Olympics were overall, they were an unmitigated culinary disaster, with terrible food that kept running out. Instead, in London, they are trying to launch a “culinary revolution,” insisting that this Olympics presented “an unprecedented opportunity to look at our diets and our health, at our catering industry, at the state of our farms, and to commit to a long-term plan for good food and environmental stewardship.” Internationally diverse, readily available, locally sourced, delicious food? London, we wish we were there too. We cover a lot of international holidays and festivals on ETW, but that got us thinking, in every other country American holidays are international. 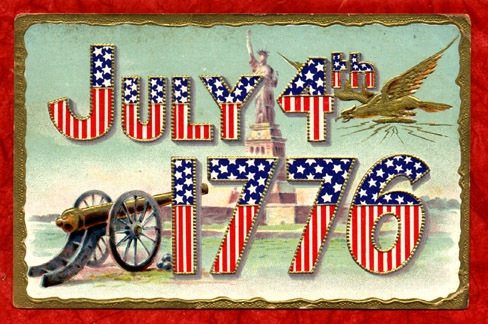 So what kind of recommendations would those in other countries give to celebrate the American holidays (if we could find such sites)? We did some scouting, and came up with some international, specifically UK, sites that had recipes to celebrate July 4th at home. We noticed a trend toward BBQ, which makes sense given the cookout tradition of the 4th. The Good Food Channel in the UK suggested Cherry Pie and Pork Ribs. The BBC went even more BBQ heavy with pulled pork and a few varieties of ribs. It’s interesting to see some of the other recipes the BBC has in the “American” section, like fluffy American pancakes. What with the Diamond Jubilee reaching fever pitch, you might find yourself hankering for some British food while stateside. Though Chicago may be flooded with Irish (and even Scottish) pubs, it is also home to some pretty good British food. We were very pleased to learn that the historically Irish neighborhood of Bridgeport on the south side is home to a couple of noteworthy British options. The first is Bridgeport Pasty, a food truck which was recently awarded 3rd place in the World Pasty Championships. 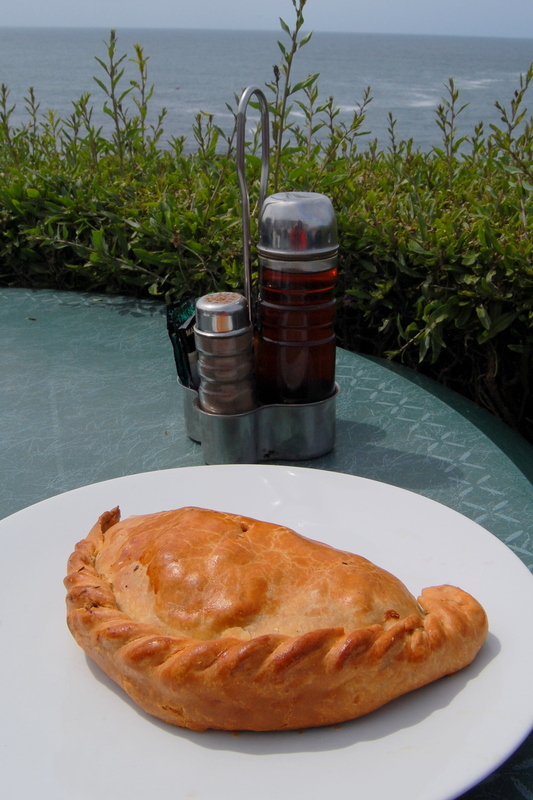 The pasty (rhymes with “vast”) is a filled savory pastry that originated in Cornwall, and is now found in countries with large amounts of Cornish immigrants (such as the Upper Peninsula of Michigan where there is even a PastyFest). For other British cravings, a bricks and mortar shop also in Bridgeport, Pleasant House Bakery (964 West 31st Street) is known for its savory pies. So there are definitely some places for homesick British and American Anglophiles alike. This coming weekend marks Queen Elizabeth’s Diamond Jubilee – 60 years on the throne – and British companies have been pulling out all all of the stops to put out special editions of clothes, tea and even Heinz baked beans. However, what has most caught our eye are the special Laduree jubilee-edition macarons. 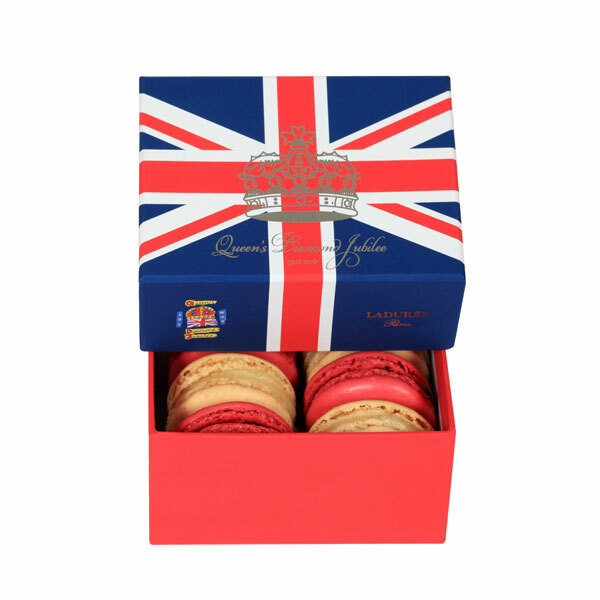 The Union Jack themed box of six red and white macarons runs $25 and is available at Laduree NYC, Paris and London locations (and also Harrods in the UK). Apparently this is only the second time that special edition macarons were made – the first being a special nod to Hello Kitty. This year also marks the 150-year anniversary of Laduree, which first opened at 16 Rue Royale in Paris in 1862. We are a little sad that we cannot sample the special edition macarons, since Laduree was voted the winner of our Parisian macaron taste-test, but maybe one of our lovely readers can let us know how they are! We love hummus, and apparently it has also taken over the UK! Having long been a fan of bagels – I never realized they are called “beigels” at some places in the UK – where they have long been sold at stores on Brick Lane. The wonderful blog Spitalfields Life recently had a detailed post about the Grandaddy of all of these London bagel shops “Brick Lane Beigels” which includes a history and some great photos of the employees and beigel production. I highly recommend it. Chicken Tikka Masala is often called “England’s Natonal Dish” and England is known for its excellent variety of Indian food due to a large Britsh Indian population. So I was quite surprised to hear that Chinese food is now tops in the UK. Did you ever wonder EXACTLY where you British cheese come from? OK, so maybe I’m the only one – but I guess I must not be since there is apparently a World Cheese Book chockablock with cheese maps. Here’s Ireland from the World Cheese Book, You can find the UK Map at the BBC, where it was chosen as Mark Easton’s Map of the week in honor of the just-ended British Cheese Week. The New York Times has a tasty-sounding recipe, definitely worth a try in the near future, especially given the lack of British dishes in our repertoire.